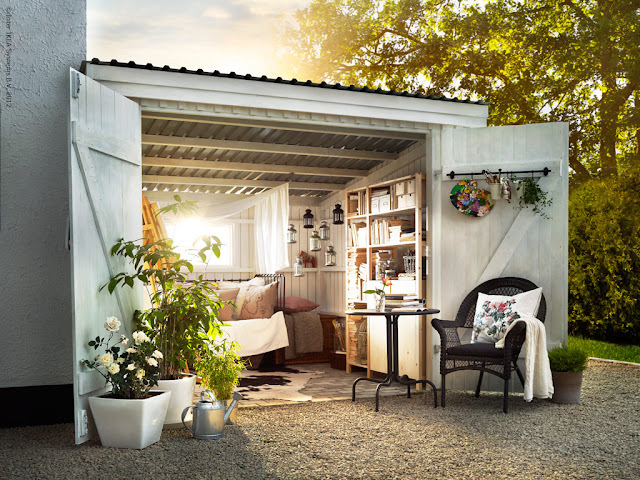 It's not a barn, but I would just love to turn my shed into a getaway like this one from Ikea editor Daniel. 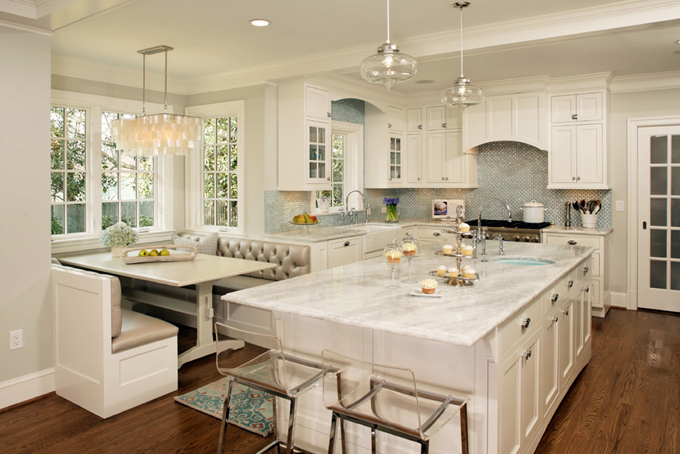 This fun kitchen shared by The House of Turquoise reminds me of a vintage soda fountain. Love that booth! This sweet little table was refinished to perfection by Jaimie at Domestically Speaking. 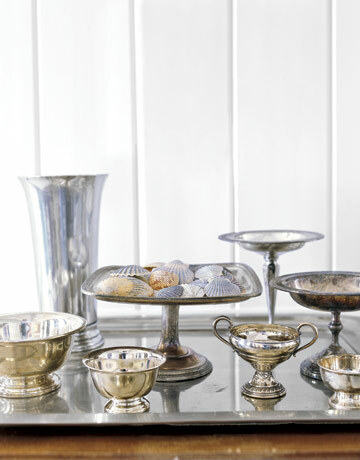 I'm loving this collection of vintage silver at Marie's house showcased at Country Living. 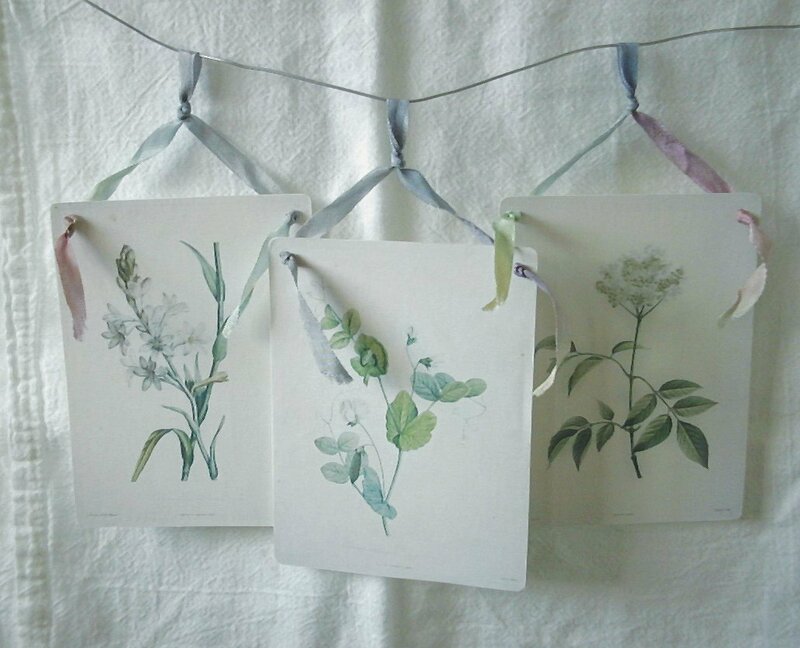 Zuzu at A Cottage in the Woods created some pretty vintage-style botanical artwork for her cottage. 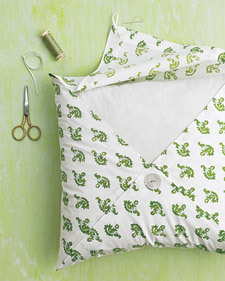 This pillow cover from Martha Stewart is made from a folded 20-inch square napkin. How cute and easy is that? 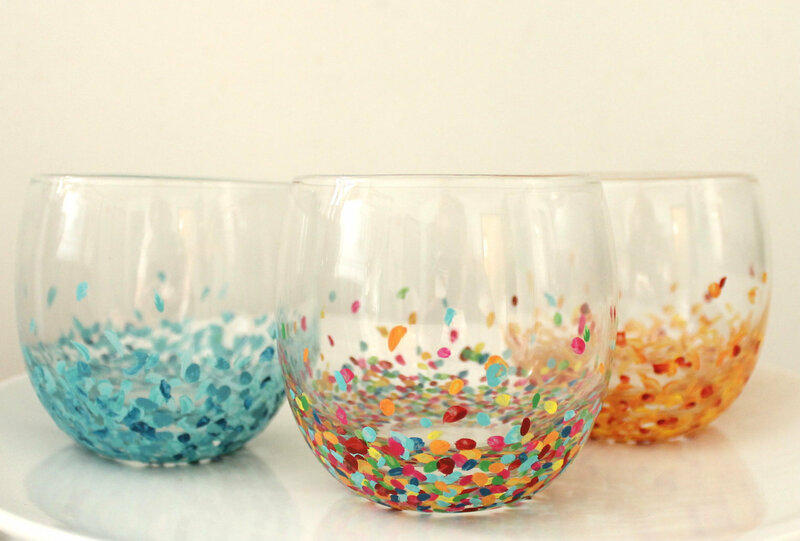 These colorful Anthropologie-inspired confetti tumblers were made by Zandi at Radical Possibility. 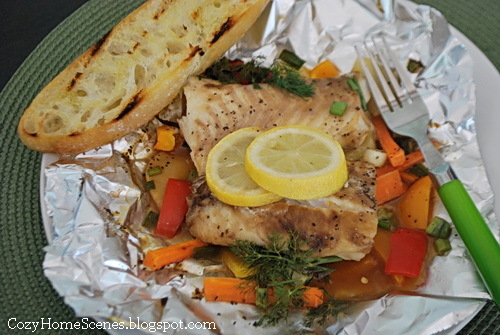 We're full into grilling season at my house, and this Grilled Fish Pouch with Garlic Bread from Shannon at Cozy Home Scenes will be a summer regular on our barbeque menu! Well, I'm off to my Fruitland barn sale soon. Maybe I will see you there! 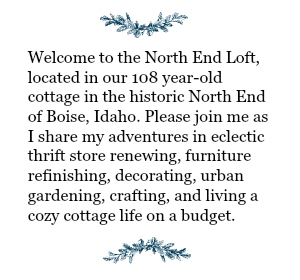 It is my favorite time of year because of this sale! Enjoy the barn sale..I'm sure you'll have a ton of fun! Oh, how I love a good barn sale! 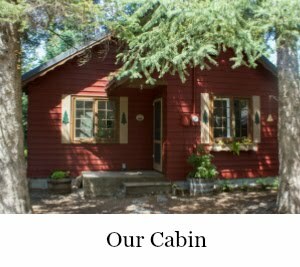 And that secret hideaway is just dreamy! Thanks for stopping by caramelpotatoes.com. 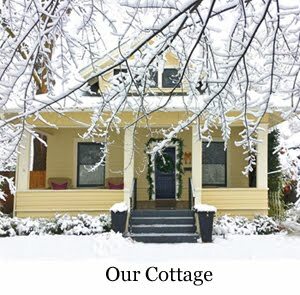 Followed you back and found such an adorable blog. Absolutely love it - so charming!!! How I would LOVE to go to this sale. Have fun!!! ahhhhh sigh!! oh how I'd love to be joining you! wouldn't we have fun together! Loved all of your Friday Finds. 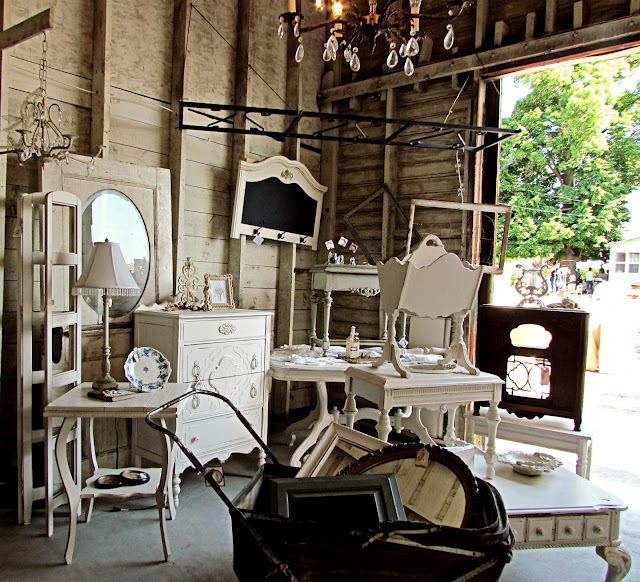 I hope the barn sale was a roaring success and you came home with more wonderful finds! Great finds Laurel, I especially would love to have that Ikea retreat in my backyard.